The application is quite easy to use and will open the ESEDB file of large size easily. One can run and install the application on any version of Windows Operating System such as 10, 8.1, 8, 7, Vista, XP, Server 2008, Server 2003, etc. Application is capable to open ESEDB Email components such email conversation including any associated attachments plus you will be able to view the header information of the email which greatly helps in ESEDB File Analysis. The application is fully integrated to function with different versions of the Exchange server including the legacy Exchange and present Exchange Servers versions including 2016/2013/2010 and 2007. If you believe some data is high importance and needs to be exported in other convenient format then there is option of data migration in the pro version which gives HTML and PDF conversion capability. ESE DB Viewer is actively maintained and developed by us and unlike many open source projects which are either deprecate or dead we have active core team who take care of this application. Supports all version of MS Exchange Server. Pro Version can Export in HTML and PDF format. The Free Version of EDEDB Viewer Tool can only shows the preview of data items within the database file. Exchange Server Environment / connectivity not available? 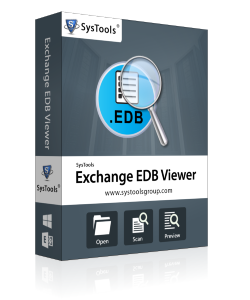 The ESEDB Viewer does not have dependency on Exchange Server hence you do not require Exchange Server to view the emails attributes within the ESEDB files. What are the limitations of the ESEDB Viewer software with the respect to ESEDB file considering this format is used by many applications. Yes it is correct that ESEDB is used across different software platform. 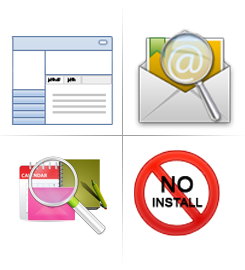 We have limited the scope of the software to cover only the Exchange Server environment. What will happen when the ESEDB has size in excess of Terabytes? The ESEDB Viewer software is designed to handle such situation since it is quite common to have large file size in Exchange Server environment hence you can rest assured that your .esedb data will be interpreted by the application even when the file size is high. Great experience with the software and I am glad that I installed your software as there was no provision of live access to Exchange Server environment. You saved our time and made the job much much simpler and the ESEDB is recommended to anyone who deals with Exchange Environment. Your ESEDB Viewer tool is now become one of my favorite because of its simplicity and ease of use. The fact that you don't need Exchange Server is a huge sigh of relief as it is not always possible to have Exchange environment or access to it but your software solved the problem.